I am going a little crazy joining make alongs this month. Now that I am over the flu I have so much crafty mojo flowing I can’t settle on one project or even one kind of craft. I have 2 quilts going, a couple of blankets, a sweater, a cross stitch project, and I have plans to make some crochet beaded book marks. You know because I didn’t have enough going on. But today I am writing about the Solar System CAL by Two Hearts Crochet. It started in the beginning of January 2018 and is going to run for 12 weeks. You can join for free by signing up to her website and she will email you each week with a portion of the blanket. 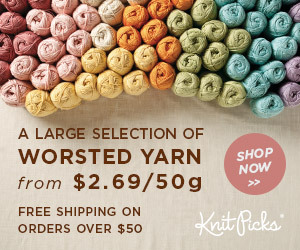 She wrote it for DK weight yarn, but there are a lot of people using worsted weight from their stashes if you prefer. I am using scraps in my Red Heart Supersaver box – I just bought a new skein of black to make sure I have enough for all of the space in the blanket. The project itself is going to be a blanket that looks like our Solar System. It has the sun at the center, then the void of space with gray lines to mark each planet’s orbit and the asteroid belt. After you finish the blanket she is going to give patterns to make the planets, the moon, and some other space things that you can sew onto the blanket (applique style). I love the concept and the blanket. Mermaid has gotten into the show Miles From Tomorrowland on Disney. So she thinks the blanket is going to be for her so she can be wrapped in space while she watches her show about kids in space. Because that is how a 4 year old’s mind works. Nevermind the fact I plan on making a Dr Who Police Box applique to sew on it and have it be a blanket for me. Nope it is going to be for her. Right now I think Alex has released 3 weeks worth of the pattern. I have just finished the first weeks worth though. If you have never worked in the round don’t worry. She has made several videos that are all linked on her site that will walk you through everything. When she wrote the pattern she wrote it for a continuous circle in hdc for the blanket. The orbits are sc, and the asteroid belt is a row of bobble stitches. For me I had a hard time with how the blanket folds and buckles. I tried 3 times making the whole 60 rounds of week 1 with different hooks and tensions. Finally i frogged it the third time and decided to do everything in sc. I have made several dozen of my All American blanket in the round in sc. I know it is going to be almost triple the work doing it in sc instead of hdc but I know i will be happier with the results. Go check out Instagram and search for #solarsystemcal. You will see how other people’s blankets are turning out and get a feel for how you would like your blanket to be constructed. If you want to try sc like me all you have to do is 2 rows of sc for every 1 of hdc. Basically just double the areas done in yellow and black. The orbits are already sc so that won’t change. The bobble stitch row won’t change because you need the bobbles.